With thirty (35) years of experience, Michael Tessaro, is one of the most productive agents in the San Francisco Bay Area. His success comes from giving his clients the excellent service they expect and deserve, whether they’re looking for the perfect home or getting top dollar when it’s time to sell. “Location! Location! Location!” is real estate’s most famous maxim. East Bay born and raised, Michael knows the region better than anyone—from Berkeley to Livermore, Walnut Creek to Danville, San Jose to Fremont and Oakland, and all the little communities scattered in-between. He knows the schools, and the shopping districts, the parks and open spaces, the rapid transit routes and freeway on-ramps. He knows the property values and the market, but more importantly, he knows the character of each town and neighborhood and what the people living there are like. 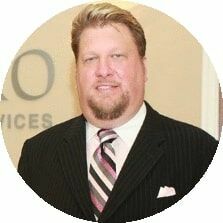 Michael believes that anticipation is the key to success in any transaction, and consequently has a reputation for making any real estate sale smooth and easy. His special designations include “Certified Luxury Home Marketing Specialists,” “Seniors Real Estate Specialist” and “Certified Residential Specialist,” a designation reserved for the top 5% of the nation’s realtors. Currently, he lives in San Jose and works out of INTERO Real Estate Services-Pleasanton & Fremont offices, where he embraces the company’s vision and a spirit of innovation and willingness to take an entirely new approach to the real estate industry.